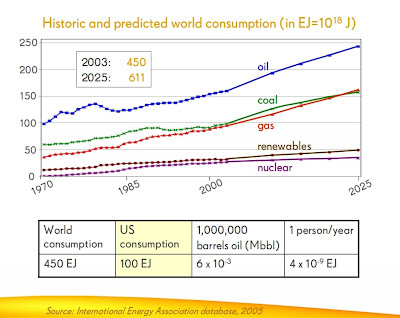 Global Oil Consumption ~80 million barrels per day. US daily oil consumption – 20 million bpd. Personal Usage – ~2400 Watts per person. Confused by so many units? Make sense via Saul Griffith's presentation (link in older post). Note – In context of food a calorie generally refers to kilo-calorie. Some numbers may not be recent. If you do find some glaring mistake, do comment.